What exactly did Trump Promise Putin on Syria, START Nuclear Treaty? 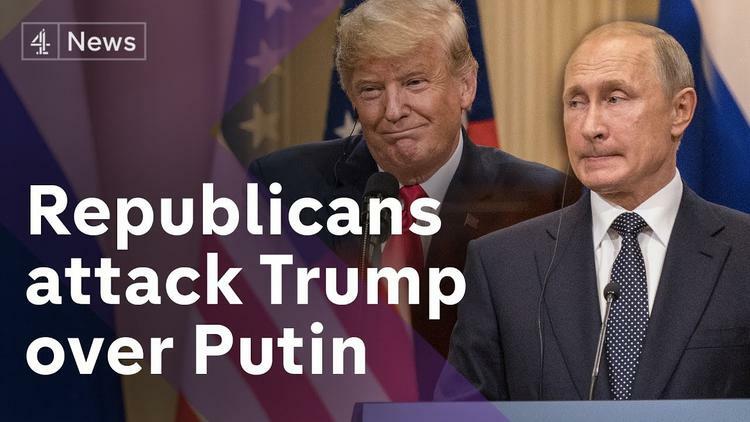 Ann Arbor (Informed Comment) – There was a difference of opinion in the Russian press about whether the Putin-Trump Helsinki summit was contentless or whether new agreements were reached, especially on strategy and Syria. BBC Monitoring of the Russian press reports an editorial in the Vedomosti business daily on the Helsinki summit, which says that neither Putin nor Trump made any verbal or written commitments there. As the BBC translated it, the editorial concluded that this outcome suited both: “For the US president, the absence of agreements and commitments… means that a risk of him being accused at home of intensive contacts with toxic Moscow is low, while for Putin, this is evidence that Moscow has not yielded an inch to Washington”. If Trump made off the cuff commitments regarding the START nuclear arms control treaty, that would be truly scary. But then the other intriguing part of this announcement regards US and Russian military cooperation in Syria. The two militaries already had some mechanisms aimed at attempting to avoid friendly fire incidents. The Russian Aerospace Forces mainly operate in the west of the country from north to south, whereas 2000 US special operations personnel and at least that many civilian combat contractors operate in eastern Syria against the remnants of ISIL, the extremist group that had aimed at creating a state government by their cult-like distortions of Islam. But earlier statements and leaks of Trump indicated that he wanted to pull US troops out of Syria by this October, declaring victory over ISIL and going home, as part of the platform on which Republicans could run in the midterms. US military officers are concerned that ISIL hasn’t been completely crushed and that in a vacuum they could come back. One solution would be to have a firm commitment from the Russian Federation that they would not allow this comeback to take place, and would put a larger priority on eastern Syria than they have in the past. Russia and the al-Assad government that it backs are much more worried about al-Qaeda-linked extremists in the northwest and southwest of the country than about ISIL, which never posed a realistic challenge to Damascus. The al-Qaeda-linked extremists and their merely fundamentalist allies, moreover, have strong connections to the Chechnya insurgency in Russia, one of Putin’s priorities since he first came to power. In contrast, the US, with its Iraq-based strategy, focused mostly on ISIL from 2014 forward and was actively allied with allies of the al-Qaeda-linked groups, against both ISIL and al-Assad. One way Trump could extricate himself from the Syrian quagmire would be to acquiesce in the Putin-al-Assad victory in Syria and then hand the northeast over to the Russians and the Syrian Arab Army. This step has the complication that it would profoundly betray US commitments to its crucial allies, the Kurdish paramilitary, the YPG, the fighting arm of the Kurdish Democratic Union Party, a far left outgrowth of the thought of Murray Bookchin. It was mostly YPG fighters who, with US air support, took Raqqa and defeated the formidable troops of the ISIL caliphate, taking high casualties. The repercussions of a perceived US betrayal of these Kurdish allies, delivering them into the hands of al-Assad’s Baath secret police, could reverberate in the Middle East for decades. But so far we don’t know what commitments Trump made about Syria to Putin, though it seems clear that he did make some. That he appears to have done so without reference to his own cabinet officials and with no State Department presence at the meeting means that Putin is the one who will get to interpret those commitments, and in order to understand Trump foreign policy we probably should all start taking Russian 101.